The City Market Downtown started as the Rice Street Market in 1903. 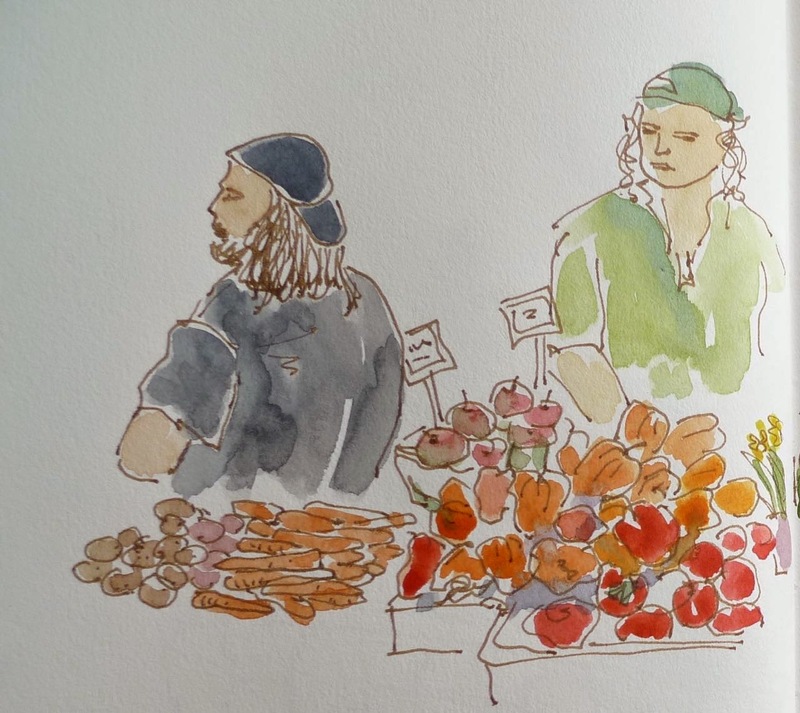 It was a regular Saturday venue for local and regional farmers to sell their products. The market was moved a few times to make way for new construction and eventually came to occupy Churchill Square which is the main square in the city. In the fall of 2011 it moved indoors to the ground floor of City Hall for the colder months. This has allowed it to be a year-round market and for a city where winter can last 7 months it was a welcome move. 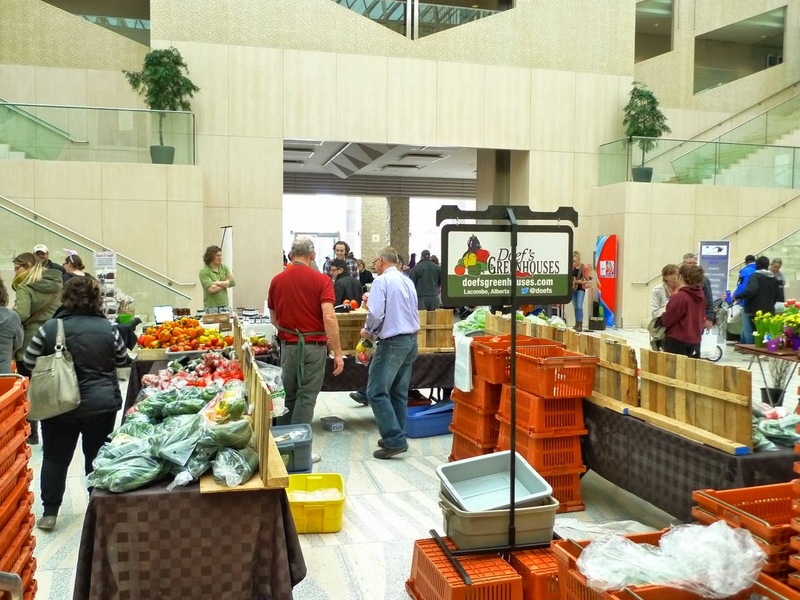 Downtown Edmonton has little to offer and the market helps somewhat to revitalize the weekend scene. Today craft and food product stalls outnumber meat and produce. Unfortunately (I guess because it is City Hall after all) no hot food is allowed to be sold indoors. 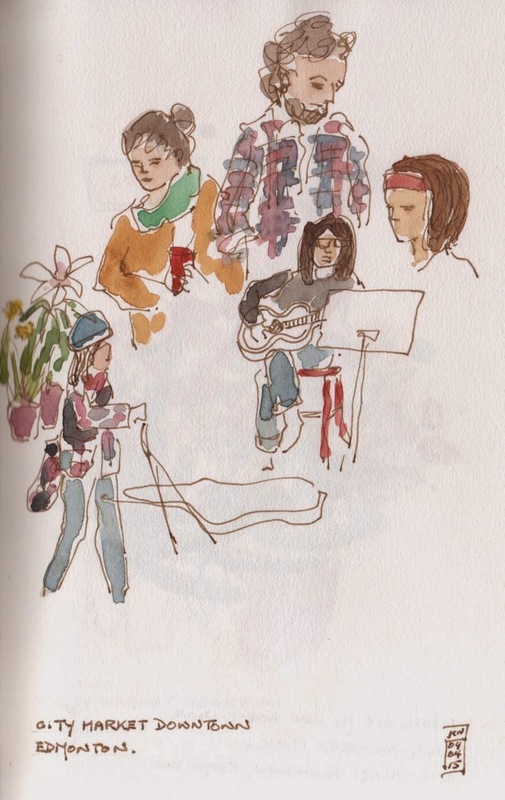 This was a disappointment when I went there to sketch last Saturday as part of the Edmonton Urban sketchers monthly meet. A nice hot snack would have been just the shot.